BIMSens is a generic database tool allowing read/write interactions with standard and bespoke data sources, including SQL Server, Primavera P6 Web Services, Excel and more. 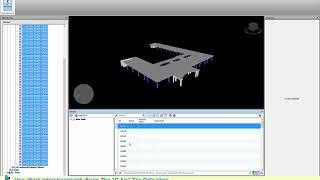 Connected to 3D Software like Autodesk® Navisworks® and Autodesk ® Revit®, BIMSens enables dynamic association of 3D objects to attributes in the data sources, allowing color filtering, data transfers and editing of the data directly from the model. Multiple users can concurrently visualize, filter, edit and color code the 3D model based on centralized data, in real time... for free. Note: To Activate the Free or Personal license of the app. Please go through the below link. If you are looking for a tool to link external data to models this is it. 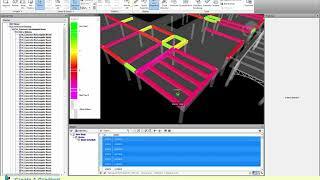 The ability to colour code models based on external data makes checking information far easier and quicker to analyse. Taking information out to databases also allows for much quicker and easier data validation checks. Having the ability to add data through selecting model components is also extremerly useful when applying additional data to existing models you do not have control of. The transfer properties to model tool can also be useful to give others access to your data without them accessing your databases. 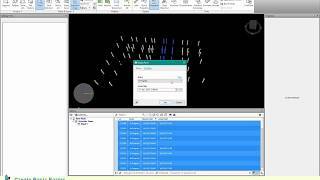 This is a fantastic Navis Plugin if you want to connect external data to your models and interact bi-directionally. Works very well, from Excel through to SQL databases including P6 Web Services. I have found the product to be very stable and the functionality intuitive and very well thought through. You can tell this has been written by someone involved in these processes and their real world applications. Highly recommend.